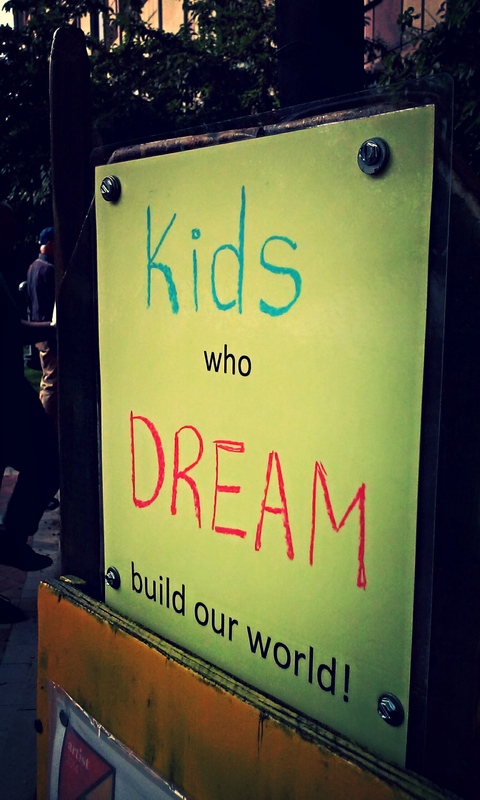 My kids are dreamers. One wants to be an astronaut, writer, artist, mom, and good cook. Another would like to be the quarterback for the San Francisco 49ers. Why? No clue. It’s his favorite team. Why? Still, no idea. The youngest is going to move to Africa to become an explorer who helps people. In their minds, these are the futures they’re headed toward. No doubt. It’s all going to happen. They aren’t thinking about how many years of college may be ahead of them. They aren’t worried about rising tuition. The thought of how really difficult the road to these dreams might become doesn’t cross their minds. They don’t think about concussions or the slim chances of becoming these audacious things. They just dream without doubt. My kids are very different from one another. Even the twins. They have distinct personalities (and big ones, at that). However, there is something they each do: they make books. They take paper (usually with an edited draft of one of my novels on the other side), draw and color and write. My daughter writes about space or nature or a series of books called “The Blah-Blah Books” with humor that is far too sophisticated for me. The explorer draws wild animals. The aspiring quarterback writes books about match ups between some of his favorite football teams. They are dreaming. 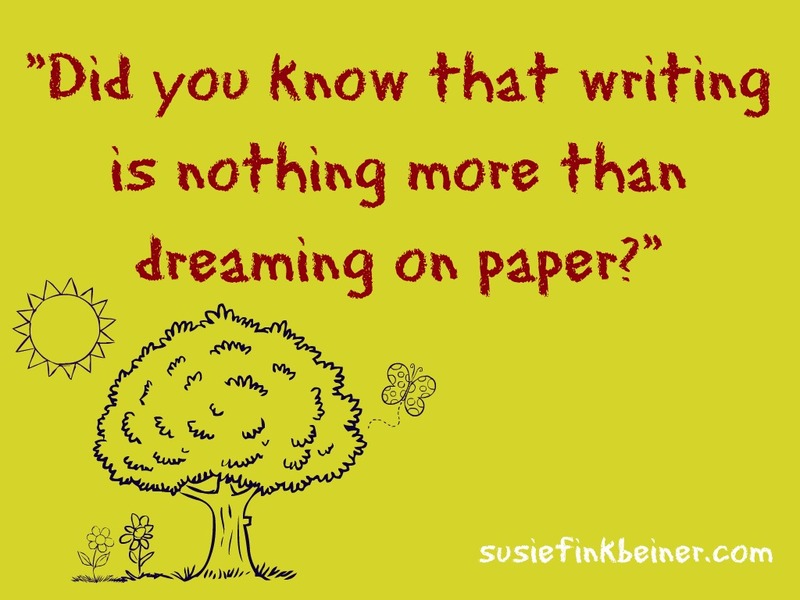 Did you know that writing is nothing more than dreaming on paper? As adults, we get hung up on the cost of everything. How much effort it will take. The statistics. We just want to be realistic, we say. But life is too short to say “no” to all of our dreams. I know, you’re busy. You’ve got a full time job. The kids and the dishes and laundry and soon-to-need-shoveling sidewalks all demand our time and attention. But dreams are in our heads for a reason. I believe that some (if not most) of them are sewn in by God as He’s forming us in the hidden places. Give your dreams space, my friends. Give them a little breath. It might mean you stop watching TV or stop mopping the floor all the time (who really does that unless their socks get stuck?). Maybe you say “no” to a few other things so you can say “yes” to that dream that’s been nudging you. Who knows. You might just end up seeing it really happen. Tell me, what’s one of your dreams? What’s keeping you from trying to go after it? Do you believe that God gives us these desires? What happens then? One of my major dreams is to keep writing for God’s glory. I think a major thing that keeps me from doing many things is that nasty fear! I pray against it often! I do believe God gives us desires and sometimes grants those in this life, and sometimes he calls us into things that are difficult, that we didn’t expect. Either way, we have to depend on Him to live our lives in His plan and with His perfect purposes and timing in mind. It takes a lot of prayer, time and being in the Word. Susie .. I have to say that I always look forward to your blog posts – you give me a gift, a lift and a smile. To dream …. ah. I still don’t know what i want to be when I grow up. But your encouragement has gotten me started putting words to paper – well technically, words on a screen. I type much better and faster. That makes me happy, Beth!